**UPDATE** Well this incredible night has come and gone. These things always seem to zip right on by so quickly, with not enough pictures taken or connections made! We did not bring home that prestigious trophy, but were delighted to see a very deserving Melanie of Millerdale Pharmacy presented with it. Congratulations to all the nominees and winners!! We had such a grear evening celebrating the accomplishments of women in our community. 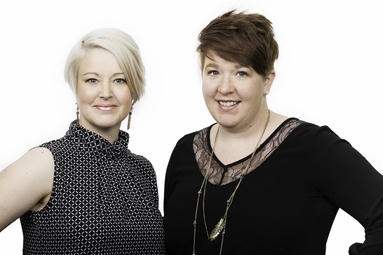 The Bra Lounge staff want to extend a big congratulations to owners Cortney Hollenga and Sheena Johnson, who have been nominated for this years Women of Excellence Awards, hosted by the Red Deer & District Community Foundation. They were nominated together by a dear friend under the Entrepreneurship category. The gala takes place next Wednesday, June 1st, at the Sheraton Red Deer. Tickets are still available!